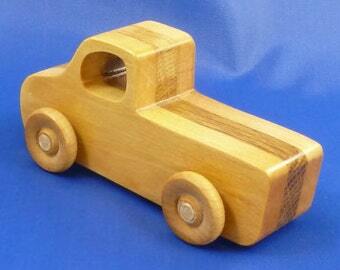 A handmade wooden toy monster truck made from solid wood for grown-ups and children over three. Sturdy, durable, and built to withstand a little boy's play. The small size easy for small hands carry with them or to keep in a busy bag. I make every effort to make sure my toys perform well. 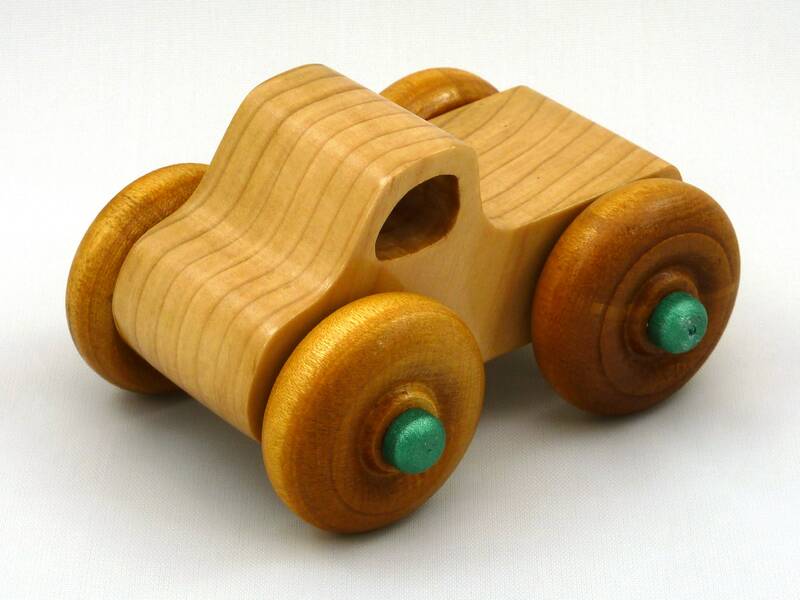 The axles are sanded smooth, waxed, and nylon washers are inserted between the wheels and the body to ensure the toy rolls smoothly, and the wheels do not rub against the car body. I carefully test each toy before it listed in my store. Because of the design and their large wheels, they roll very well on just about any surface including carpets. By pressing down with your finger over the rear axle and slowly applying pressure until the monster truck pops out from under your finger, the truck can do backflips. It takes a bit of practice to get the hang of it, but my grandson has been able to make them flip since he was three years old.